I’m not sure this is what our founding fathers had in mind when James Madison and the US Constitutional Congress met in 1787 to come up with the law of the land. States’ rights and the fear of repeating what they saw as England’s tyrannical government heavily influenced the historic document that today is the model of government in the free world. 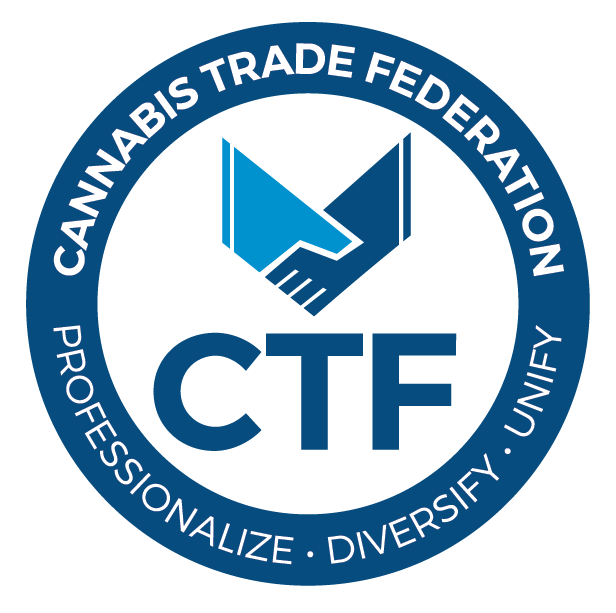 The debate to legalize cannabis and hemp in any form has been led by several forces with opposing views typically represented by activists, grass root movements, government agencies or political leaders (predominantly Democrat or Republican) and of course wealthy or committed individuals that have played the dominant role in bringing the industry to where it is today. The editors of www.cannabisbusinessexecutive.com have had fun putting together the 2014 CBE Political 50 which attempts to identify who the leaders are and who is impeding progress as the train ride to federal legalization continues its uphill climb….we think the train has just about reached the top of the mountain! Don’t get us wrong, there are several pro prohibition folks who we respect as leaders even though their beliefs run counter to the industry’s goal to end prohibition. We respect CBE Political 50 members like Dr. Nora Volkow at the National Institute on Drug Abuse (NIDA) and former Democratic Congressman Patrick Kennedy, honorary advisor at Smart Approaches to Marijuana (SAM) but cringe when we think about Richard Nixon (duh!) or Sheldon Adelson. My kid’s generation doesn’t feel that our fearless leader, Barack Obama, has done enough to end prohibition (CBE obviously disagrees!). Responsible and fair regulatory, licensing, and compliance guidelines. Fair and accessible banking for businesses and equal taxation guidelines. A criminal justice code where the crime and punishment systems at the state and federal levels truly reflect the reality of individual marijuana consumption and use. …..and most importantly, that cannabis is rightfully scheduled or not scheduled at all by federal regulatory agencies that have perpetuated the propaganda and policies of past generations and clearly impeded the progress that the industry has made. I can hear Thomas now…i think i can…I Think I Can….WE KNOW WE CAN!….as he reaches the apex and begins what promises to be a downhill ride, probably with a few detours along the way, in years to come. 4 Keith Stroup Founder, NORML Lawyer/Activist Keith started NORML in the early 70's with the clear mission of ending prohibition and helping those that have run a foul of state and federal laws. Under his guidance, NORML has grown over the past 40 plus years to be the leading advocate against the War on Drugs. He is a recipient of the Richard J. Dennis Drugpeace Award for Outstanding Achievement in the Field of Drug Policy Reform presented by the Drug Policy Foundation. After passing the torch on to others, Keith still fights for the cause as NORML's Legal Counsel. 5 John Hickenlooper Governor of Colorado Democrat This controversial Governor has overseen the implementation of Colorado's Amendment 64, which legalizes the adult personal use of cannabis and calls on state lawmakers to enact regulations licensing its commercial production and sales. He is personally on the record as being against the legalization of adult use marijuana. The Governor and his public and private sector teams have successfully, to date, rolled out a model legalization program that is helping disprove many of the pro prohibition arguments about cannabis while filling the state coffers with substantial tax revenues and likely savings from the state's law enforcement and incarceration budgets. He narrowly won this week's re-election bid. 6 Jay Inslee Governor of Washington Democrat With the popular vote approving Initiative 502, Washington became the second state to legalize marijuana. Although against I-502, Governor Inslee has overseen a program that is licensing businesses through the state liquor board, to produce, process and distribute cannabis to adults 21 and older. This approach cuts the doctor out of the decision-making loop for potential consumers but poses another challenge that Inslee's team and the legislature must solve quickly, the licensing and regulation of the medical marijuana dispensaries that until now have existed under local regulations. 7 Allen St. Pierre Executive Director, NORML Activist, Public Policy, Lobbyist Mr. St. Pierre assumed the reigns at NORML in 2001 and has spent the last 23 years tirelessly pursuing its mission statement from both a grassroots perspective (NORML now has over 150 active chapters around the US and the world) and by being a highly visible media spokesperson on the benefits of ending prohibition and changing the policies of the US Justice system. 8 Rob Kampia Co-Founder and Executive Director, Marijuana Policy Project (MPP). 9 Jose Mujica President of Uruguay Leader of the Broad Front Coalition Jose Mujica is known as “the world’s poorest president.” He gives 90% of his salary to charities representing the poor and small entrepreneurs. Since becoming President in 2010, he has legalized marijuana and gay marriage. The decision to legalize marijuana was motivated by Mujica's desire to take the money out of the cartels hands and cut down on violence. Though many oppose his position to legalize on the national level, he has received great praise from many outside of his country. 10 Dr. Nora Volkow Director, National Institute on Drug Abuse (NIDA) Federal Agency Since 2003, Dr. Volkow has led NIDA. The career bureaucrat, who served her psychiatry residency at NYU, is an expert on addiction and fervently opposed to the end of prohibition. She has been a road block to efforts to balance the research about the efficacy of cannabis while pursuing any and all avenues to perpetuate the federal government's prohibition rhetoric and stance. 11 Eric Holder United States Attorney General Democrat The controversial Attorney General is the first African American to hold the position and one of the last remaining original members of the Obama administration. In 2010, upon California’s Proposition 19 vote, Holder said the DOJ would continue to prosecute on the federal level for marijuana related crimes regardless of the outcome. However, after the issuance of the Ogden and Cole memos, Holder and the Department of Justice have reversed course and pulled resources aimed at state regulated legal and licensed marijuana businesses. Holder has recently resigned his position but is staying on until a successor is appointed. President Obama nominated Brooklyn federal prosecutor Loretta Lynch this past week as Holder's replacement. 12 Aaron Smith Executive Director National Cannabis Industry Association Activist, Lobbyist & Public Policy Aaron Smith is the co-founder and executive director of the National Cannabis Industry Association. Prior to his work with the NCIA, Smith was part of the California based, medical cannabis advocates group, Safe Access Now and became the California State Policy Director of the Marijuana Policy Project. 13 Andrew Cuomo Governor of New York Democrat Following in his father's footsteps as the Governor of NY, Cuomo, former U.S. Secretary of Housing and Urban Development, signed into law New York's Medical Marijuana program in July that allows for consumption of marijuana but only in a non-smoking form. 14 Jorge Mario Bergoglio Vatican Pope Francis Catholic Leader In addition to working tirelessly to end corruption in The Vatican, Pope Francis is an outspoken critic of the Pro-Cannabis legalization movement worldwide. This past summer at the International Drug Enforcement Conference, he said, "The scourge of drug use continues to spread inexorably, fed by a deplorable commerce which transcends national and continental borders. Attempts, however limited, to legalize so-called 'recreational drugs,' are not only highly questionable from a legislative standpoint, but they fail to produce desired effects." 15 Stephen Harper Prime Minister, Canada Conservative Party Harper is a staunch anti-marijuana advocate who has fought with Justin Trudeau's Liberal party for control of public policy in Canada. With medical marijuana legal federally in Canada, the Conservative Party fights MMRP at every step. 16 Enrique Pena Nieto President, Mexico Institutional Revolutionary Party Despite personally being against legalizing cannabis in Mexico, President Nieto has opened the door to changing policy when he expressed in June that the US and Mexico could not follow divergent paths and that the policies of the last 30 or 40 years have failed. Marijuana has been a staple source of income for violent drug cartels in Mexico. 18 Michelle Leonhart Administrator, Drug Enforcement Administration (DEA) Federal Agency As head of the DEA, Ms. Leonhart has led the agency's stonewalling efforts to remove marijuana from schedule 1 of the Controlled Substances Act and has chided the President for his stance on cannabis legalization. She has also consistently turned down research requests regarding the therapeutic and medicinal benefits of marijuana. 19 Chris Christie Governor of New Jersey Republican Like his good friend, Governor Hickenlooper in CO, Christie inherited implementation of New Jersey's medical marijuana program that has floundered under his administration. An outspoken critic of Colorado and marijuana legalization, the potential 2016 Republican Presidential nominee has declared that marijuana will never become legal in his home state under his watch. 20 Jared Polis US Representative, Colorado Democrat Along with Earl Blumenauer, he has sponsored bills to de-federalize marijuana policy and create a framework for the federal taxation of cannabis. Polis’ Ending Federal Marijuana Prohibition Act would remove the Drug Enforcement Agency’s authority over marijuana and allow states to choose whether to allow marijuana for medicinal or adult use. 21 Earl Blumenauer US Representative, Oregon Democrat Along with Jared Polis, Blumenthal has sponsored bills to de-federalize marijuana policy and create a framework for the federal taxation of cannabis. Polis’ Ending Federal Marijuana Prohibition Act would remove the Drug Enforcement Agency’s authority over marijuana and allow states to choose whether to allow marijuana for medicinal or adult use. And like his friend and colleague, Blumenthal woke up this past Wednesday morning knowing that adult use marijuana has passed the state's ballot initiative. 22 Ed Perlmutter US Representative, Colorado Democrat Along with Denny Heck, Perlmutter has led bi-partisan efforts to change federal banking laws that protect industry business owners and federally insured banks. Most recently the Perlmutter/Heck/Rohrbacher Amendment passed the house blocking the SEC and Treasury Department from spending money to penalize banks and other financial institutions for working with pot businesses that do not break state laws. 23 Denny Heck US Representative, Washington Democrat Along with Ed Perlmutter, Heck, has led bi-partisan efforts to change federal banking laws that protect industry business owners and federally insured banks. Most recently the Perlmutter/Heck/Rohrbacher Amendment passed the house blocking the SEC and Treasury Department from spending money to penalize banks and other financial institutions for working with pot businesses that do not break state laws. 24 Dannel Malloy Governor of Connecticut Democrat Since being elected Governor, Malloy has overseen Connecticut's efforts to decriminalize possession of marijuana and instituted the state's medical marijuana program that went live this year. Although a progressive, Malloy does not support the full legalization of adult use cannabis, he was narrowly re-elected this past Tuesday. 25 Dana Rohrabacher US Representative, California Republican Rohrabacher introduced the Respect State Marijuana Laws Act in 2013 which would prevent the federal government from continuing to prosecute residents who are acting in accordance with their state’s marijuana laws. The bill would legalize marijuana at the federal level to the extent it is legal at the state level. 26 Barbara Lee US Representative, California Democrat Since being elected to Congress in 1998, The Congresswoman has been a strong proponent of safe communities, affordable housing, the homeless, low income energy assistance, job training, making health care affordable and universal, just immigration policies, the establishment of a living wage, and protection of the right of women to make decisions about their reproductive health. Lee has also supported the efforts to loosen federal banking regulations, including promoting Fincen guidelines. Additionally, along with Californian Republican Dana Rohrabacher, she helped pass legislation that increases funding for the Second Chance Act that prohibits the use of funds by the Department of Justice to prevent states from implementing their own state laws that authorize the use, distribution, possession, or cultivation of medical marijuana. 27 Rand Paul US Senator, Kentucky Republican An outspoken advocate for Industrial Hemp, Paul is a potential Republican candidate for President in 2016. In the meantime he has helped ratchet up the national debate regarding cannabis prohibition by introducing bills in the US Senate this past summer protecting the states that have implemented medical-marijuana laws—as well as the patients and doctors acting in accordance with them—from federal prosecution. 28 Steph Sherer Executive Director, Americans for Safe Access (ASA) Public Policy Steph Sherer is the founder and executive director of the nation's leading medical cannabis patient advocacy organization. She has built ASA into an organization with 16 active ASA chapters and a grassroots base of over 50,000 members. She also works with American Herbal Products Association (AHPA), to help establish regulations for the medical marijuana industry. 30 John Kitzhaber Governor of Oregon Democrat In his third term as the Governor of Oregon, Kitzhaber has said he would sign the marijuana initiative into law to set up a regulatory system and make Oregon the third state in the Union to legalize recreational marijuana use. Mission accomplished. 31 Alison Holcomb Criminal Justice Director for the ACLU of Washington Legal, Activist After working on Initiative 75, which made marijuana enforcement the lowest priority for the Seattle Police Department Ms. Holcomb was one of the architects of Washington State's comprehensive I-502 bill and campaign. As reported last week by the NY Times, she has recently accepted a new position to head-up the new ACLU political campaign, financed by George Soros’s Open Society Foundations, to slash an incarceration rate that has tripled since 1980. There are currently some 2.2 million prisoners in the United States. 32 Valerie & Mike Corral Executive Director & Co-Founder, Wo/Men's Alliance for Medical Marijuana (WAMM) Activist and Public Policy Valerie and Mike Corral received the High Times Freedom Fighter of the Year Award in 2003 for their tireless efforts to legalize medical marijuana.They co-founded WAMM in 1993 and Valerie was a key-player in the crafting and passage of Proposition 215 (also known as the Compassionate Use Act of 1996), which allowed patients with a doctors recommendation to use marijuana medicinally. 33 Rick Scott Governor of Florida Republican Signed into law Florida's CBD-only bill in June but he opposed the Amendment 2 ballot initiative that required a 60% super majority for passage. Amendment 2 was narrowly defeated this past Tuesday and Scott was re-elected. 34 Jan Schakowsky US Representative, Illinois Democrat Schakowsky co-sponsored the States' Rights to Medical Marijuana Act, is a pro hemp advocate and a big supporter of Illinois' medical marijuana initiative. Schakowsky is among 18 U.S. Representatives who sent a letter in February of this year to President Obama asking him to direct Attorney General Eric Holder to remove marijuana from the most restrictive list of banned substances. 36 Betty Aldworth Executive Director Activist and Public Policy Ms. Aldworth has been involved in community outreach, public relations, advocacy, and policy reform as a consultant to cannabis-related businesses and nonprofit organizations. She served as spokesperson and advocacy director for Colorado’s successful Campaign to Regulate Marijuana Like Alcohol, the collaborative committee responsible for legalizing, taxing and regulating marijuana for adults in Colorado. Betty was the Deputy Director of NCIA in 2013, the organization’s largest year of growth, and she now heads Students for Sensible Drug Policy. 37 Norton Arbelaez Attorney & Founder, Medical Marijuana Industry Group (MMIG as of 1/1/14 MIG) and a Principle at RiverRock Public Policy, Legal, Medical Dispensary Mr. Arbelaez is a member of the Colorado Department of Revenue’s Medical Marijuana Advisory Board, the City of Denver’s Medical Marijuana Workgroup, and Governor Hickenlooper’s Amendment 64 Regulatory Workgroup. He founded MMIG in 2010. MMIG was founded as a medical marijuana trade association in 2010 to help protect and promote the Colorado medical marijuana regulatory framework, serve as a responsible resource for policy makers, and protect the rights of medical marijuana patients. 38 Peter Shumlin Governor of Vermont Democrat According to NORML, Gov. Peter Shumlin is one of three sitting governors in the last 40 years to aggressively support cannabis legal reform and the only current up and coming politician with national reach to push for the decriminalization of pot possession. Shumlin has signed off on research in the state to explore the possibility of legalization. His Administration is taking a serious look at the possibility of legalizing marijuana in Vermont and has contracted with the Rand Corporation, a nonprofit international research organization, to conduct a thorough investigation of the pros and cons of the issue for lawmakers to consider next winter. 39 Hillary Clinton Former Secretary of State/Senator NY/First Lady Democrat Hillary Clinton is a former US Secretary of State, U.S. Senator and First Lady. As the projected 2016 Democratic nominee for the US President, Clinton has gone on record supporting state's legalization efforts as an incubator for possible federal policy changes in the future. Unlike her husband, she has gone on the record saying she has always abstained from using marijuana. 40 James Gray Former Judge, Activist & Libertarian Party Vice Presidential Candidate Libertarian An American jurist by training, Gray believes that the Federal government has stood in the way of rescheduling of marijuana and has been on a pro legalization crusade to remove the monopoly imposed by the Drug Enforcement Administration (DEA) on licenses for the cultivation of medical-grade cannabis for research purposes. 42 Mason Tvert Communication's Director, MPP Activist, Public Policy, Lobbyist Mr. Tvert is known for his challenge to Colorado Governor Hickenlooper and Pete Coors to a contest to take a puff on a joint for every beer they drank to demonstrate the mantra that he, Steve Fox and MPP developed to raise the awareness of marijuana's effects versus the effects of alcohol. He is the founder of Safer Alternative For Enjoyable Recreation and current communications director for the Marijuana Policy Project Politico has called Tvert the "Don Draper of Pot" which also considers him to be one of the key reasons adult use legalization of marijuana in Colorado occurred. Mr. Tvert is the High Times Freedom Fighter of the Year 2012. 43 Dale Gieringer, Ph.D Director, California NORML Public Policy, Activist Dale has been involved with California NORML for the last 27 years. He is a NORML Lester Grinspoon Award recipient and the High Times Freedom Fighter of the Year 2010. 44 Rachel Gillette, Esq. Executive Director, Colorado NORML, Attorney Legal, Public Policy, Activist Since beginning her cannabis related practice in 2010, Ms. Gillette has represented clients to navigate the licensing process, and businesses contending with the IRS application of 280E. She is also Co-Chair of the Coalition for Drug Testing Policy Reform and is committed to ending the prohibition of cannabis at the national level and ensuring state licensed marijuana businesses are fairly taxed at both the state and federal level. 46 Vivian McPeak Co-Founder & Executive Director, Seattle Hempfest, Activist, Musician Public Policy This list would not be complete without Mr. McPeak who has spent the the bulk of his life fighting for marijuana policy reform. He co-founded Seattle Hempfest which began in 1991 as a small gathering of stoners and has grown into one of the most sophisticated cannabis policy reform events in the world. 48 Terry Branstad Governor of Iowa Republican Signed into law Iowa's Senate File 2360, legalizing one form of medical marijuana, The drug is only legal in the form of cannabis oil, a non-smoking product of marijuana with low doses of THC, the component that causes a high. Only those with intractable epilepsy will be eligible to use the drug, a type in which the patient does not respond to medication meant to alleviate seizures. 49 Sheldon Adelson Chairman and CEO, Las Vegas Sands Corporation Republican Activist This billionaire casino magnate bank rolled the opposition to Florida's Amendment 2 which would have legalized medical marijuana in the state. A super majority of 60% was required for passage and Adelson's financial support led to the Amendment's defeat by a narrow margin. 50 John Morgan Attorney, Florida Democratic Activist Led the charge funding the "Vote Yes on Amendment 2"